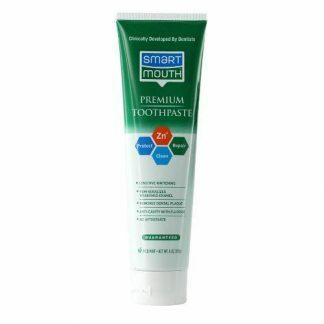 Smart Mouth Mouthwash and Toothpaste gives you fresh breath all day, 12 hour fresh breath. Rinse with the SmartMouth Mouthwash at night and wake up with no morning breath. 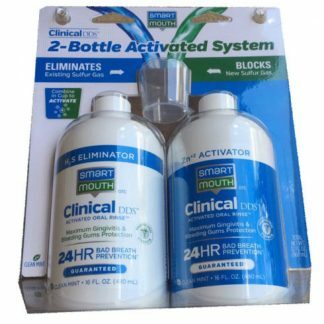 This is the only mouthwash on the market that uses a patented zinc-ion technology that kills germs, prevents gingivitis and a plaque killer to fresh your breath for 12 hours and prevent bad breath from coming back. 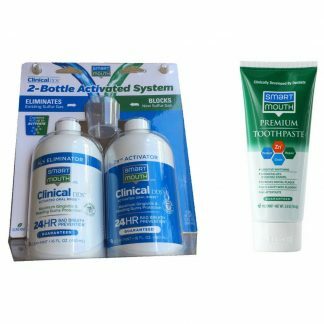 The unique two-bottles means you active SmartMouth every time you use it, giving you maximum strength and fresh minty breath with every swish!